JoMarie Payton in the Family Matters finale? a reunion? 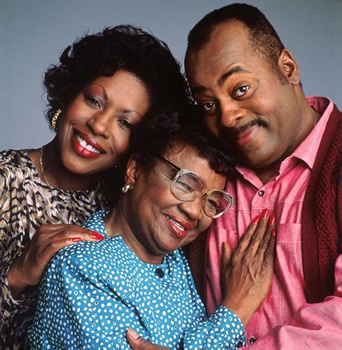 Family Matters follows straight-talking Harriette Winslow (JoMarie Payton), her police officer husband Carl (Reginald VelJohnson), and three children; Eddie (Darius McCrary), Laura (Kellie Shanygne Williams), and Judy (Jaimee Foxworth). Harriette’s widowed sister, Rachel Crawford (Telma Hopkins), her young son Richie (Bryton James), and Carl’s mother Estelle (Rosetta LeNoire) also live with them. Midway through the first season, nerdy neighbor Steve Urkel (Jaleel White) was introduced. He quickly became a recurring character and then a series regular. It wasn’t long before each episode featured an Urkel-focused storyline. In part one of our interview, Payton set the record straight about why she left midway through the final season of Family Matters (it wasn’t why many people think it was). In part two, Payton talks about the series finale and her rumored cameo, if she keeps in touch with her former castmates, and if she’d be open to a Family Matters reunion. You told me that you watched the last episode of Family Matters for the first time on our site. I really did. 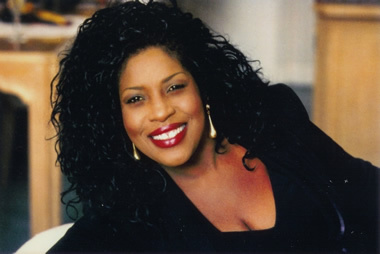 And as a matter of fact I know Judyann Elder that played the Harriet role after me. I did a play with her years ago. I know Judy, and her husband too. I did enjoy the episode and I was looking for me in it because [places online] state that I had a cameo. I said, “I didn’t have a cameo in that. In those two shows.” You know. Because I was gone when they did the last two episodes. That was kind of one of the main reasons I watched it. I said “Let me see where I am.” You know. But I (laughs) I didn’t see me! No. (laughs) No I wasn’t. And believe me, I looked real hard too because I said, “Well if I’m there, I think they owe me a check.” You know? (laughs). And I, I didn’t see me. And I said “Well.” And I looked, I looked real carefully and I said “No, I wasn’t there.” And then I looked at IMDB, they had it there, but they said “uncredited”. And I’m saying “I know I wasn’t.” I was gone like, seven shows before that (laughs). I think they did six or seven shows and that’s when they pulled it. And I’m done and gone by that time. I’m just singing in the studio. I’m singing my jazz. 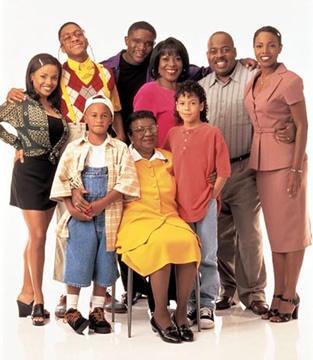 If the situation was right, would you be interested in doing a Family Matters reunion show? Absolutely, if the situation was right. As a matter of fact, I got a call from my agent. It was a little over two months ago, maybe two and a half months ago. Good Morning America had called him, wondering if we could do a reunion. But at that particular time, Kelly (who played Laura) was due to have her baby, and I think that might have been what the hold up was. Do you keep in touch with other people from the cast? I talk with Reggie all the time, in fact about three days ago. I was in Turkey with Telma last year, and we went to schools. It was a fabulous trip that we took. And like I said, Kelly, I spoke with her when she had her baby. So a lot of them I still communicate with. I haven’t actually talked to Jaleel in about six or seven years. Last time I saw him, I was doing a promotion for Disney at the Ritz Carlton in Atlanta. I was doing a Laughapalooza or something like that for The Proud Family. I was doing advertisements for them, and I saw him there. He looked wonderful, but I haven’t seen him since then. But then, of course, I live in Miami now, too, so it’s kind of hard to see him. But Darius, that played Eddie, I speak with him often. I have his mom’s number and stuff, so you know, we stay in contact. Do you ever happen to watch the episodes of Family Matters? You know what? I look at the shows, because obviously they’re on all the time. I think there’s about 16 shows that are going to run tonight as a matter of fact. So I sit up and watch them sometimes, and I actually get so sad, because I miss Rosetta LeNoire, and also Michelle, the little girl that played Myra. I think about some of these things, and actually some of the shows, when I watch them now, it’s my first time watching them too. Because a lot of times, I stayed in my dressing room until it was time for my scene. I just stayed out the way, you know? Some of them, I said, ‘Oh my God, I didn’t know that happened!’ or ‘We did that?’ Because I wasn’t the type of person that was always… I always had something to do, and I think I was the only person that had a little kid at the time. So sometimes my time was spent, I was racing down the freeway trying to make children’s program or something with my kid, you know, or using my lunchtime to do something else. All in all, it was a very enjoyable experience. I have no regrets about it. Things weren’t always perfect, but they’re not on any show. When I guest spot on shows, some of them I would never do again, because they’ve got such chaos going on. But for the most part, God shined on us, and we got through it. We got through it without a lot of negative press, and all of those kinds of things. Like I said, it was not perfect, but it was good. It was good. And you certainly made a lot of viewers happy. Yes, we did. Yes, we did. And we’re still making them happy. That’s a good thing. If you missed it, you can read part one of this interview. I brought my sons to cali from bmore to see the show live. we met everyone…we have pictures it was fun…I want my oldest son Thomas…actor…comedian to get a great show like this…will tell u when he gets it. i know jomarie payton she’s my aunty. and im not lieing. shes the best. @jahleel Williams: can you email me her mailing address and or a phone number or email? I really want her autograph. Thanks. Email me the info at: mcapozza99@gmail.com. Thanks! So she stayed in her dressing room and is suprised that she didn’t realize or see a SECOND UNIT shot of her in the finale. @Fan: She’s not in the finale. There’s an African-American woman that looks a little like Payton that plays a lab technician in the background of a few scenes. It’s not Payton.